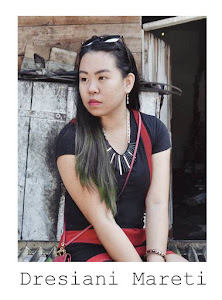 From just have an account in it, post many personal looks, and now I'm officially become a fashion journalist of whatiwear.com! Since a week ago my job already begins, on October 28th. Actually it's a six-weeks commitment for internship program. What I wear is a fashion online magazine, fashion website, or whatever you named it, where there's a lot of info and inspirational styles, fashion forum discussion, and many features on it. My pleasure could join in this fabulous team. 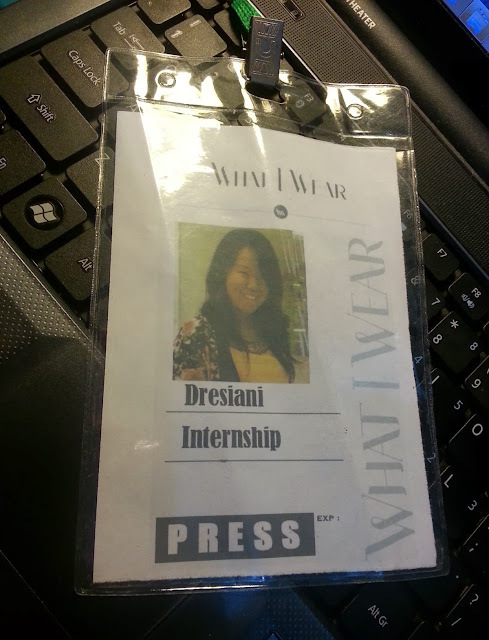 Such a cool opportunity, because I really interested for working in fashion community like this. Dream comes true. So I have to do some job scopes: style spotter, fashion analysis for hot looks, make a forum topic to discuss, info compilation about brand sale, fashion events, job vacancy, etc. and also will doing interviews with one or two top fashion bloggers and fashion brands. I also do teamwork in a group for some jobs every week. Hmmm, it will be interesting! And believe me, they're really amazing team. My coordinator, Ms. Klaudia Mere, is very helpful and humble. She explains what should I do in every details. Also she's willing to be bothered by us, all the October's interns. Thank you Miss Klaudia! "Do you work in fashion major? All about fashion? Why not about dentistry, ceh?" "I just want to get experiences, Mi. So I need to try new things, not just stucked in dentistry major only. But I still working in dentistry magazine too until now, I don't leave it." "It's okay. The most important thing is don't be too busy, stay focus on your study." I believe my Mom always know my best! Actually I don't really know why I applied this job at that time. I just trying. Then I realized that when you want to do something new even there isn't a necessity, truly just by your initiative...it called passion. I'm happy to do it. By the way, I'm looking for stylish peoples in campus. For ladies and gentlemen. 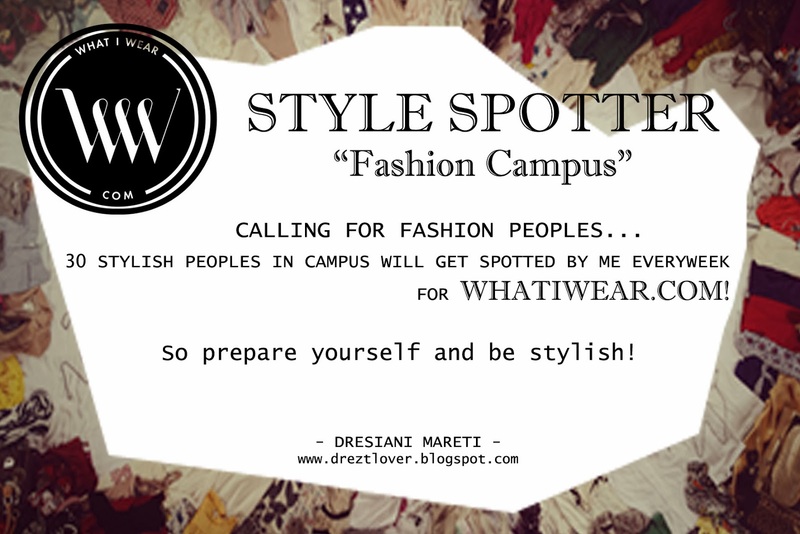 30 best looks for every week will be spotted and captured by me to be featured on WhatIWear. Thanks to you guys, who already want to be spotted last week! But my last week target haven't done yet, so I will continue, and will doing it until 6 weeks ahead. Some peoples just too shy to show on. Hahaha. You don't have to be shy to look gorgeous. Just prepare yourself, dress up to campus, and be fashionable as stylish as you could! Need to learn from a fashion expert like you. Hahaha.